Knowing how to sow wildflower seeds properly for your type of project will help you get maximum germination and establishment. The method of application depends on the size of the area and the terrain. Broadcast seeding is effective for small to medium sized areas. On small areas, broadcast seed evenly either by hand or by use of a hand-held cyclone spreader. It is helpful to mix a carrier such as vermiculite or clean, dry sand with the seed; the carrier adds volume and aids in even distribution. We recommend using a ratio of 1 or 2 parts carrier to 1 part seed. Rake in lightly, covering seeds to a maximum depth of 1/8 – ¼ inch. For larger areas, a large broadcast seeder mounted on an ATV can be utilized. 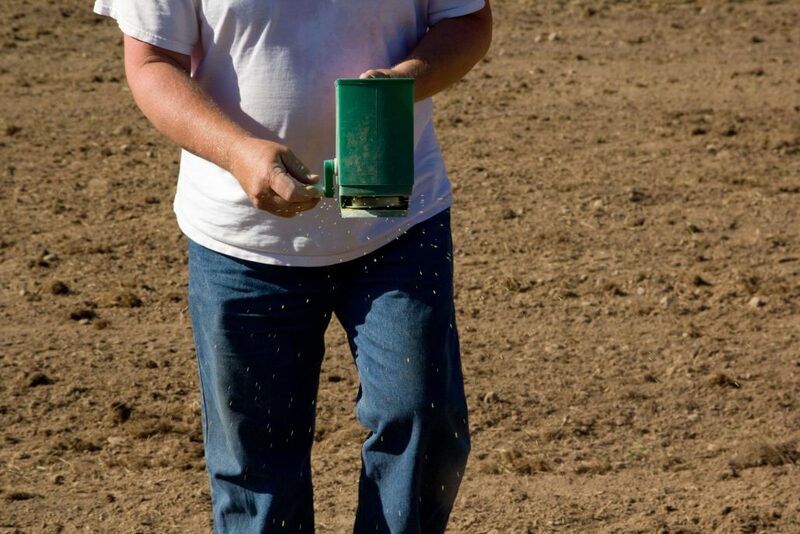 A roller should be used to press seed into the soil, or drag the area lightly with a piece of chain link fence to mix the seed into the surface of the soil. 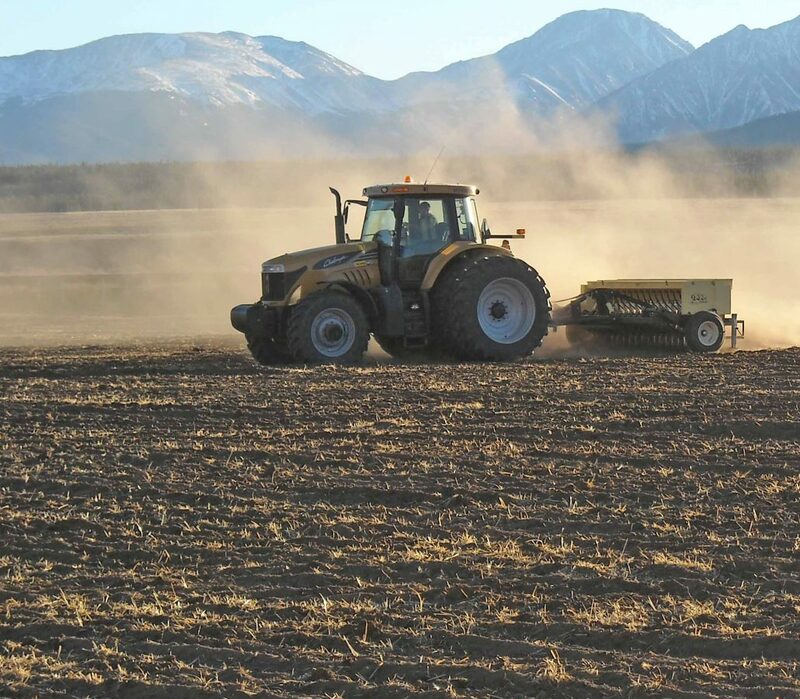 For seeding large areas, i.e., over one acre, drill seeding is recommended. A seed drill drops seed in neatly spaced rows at a metered rate and has some means of compacting the soil over the seed. A no-till drill seeder cuts a small “V” opening in the soil and drops the seed in it, and then the soil is pressed over the “V” rows. No-till seeders do not require a prepared seed bed, whereas standard seed drills do. Specially designed no-till drills that can handle the different types of wildflower seeds are most effective. These typically have 3 seed boxes designed for fluffy seed, large seed, and small seed. Drill depth should be no more than 1/4 inch. Hydroseeding is effective, especially for steep slopes, rocky terrain and other areas where conditions make it impractical for other methods of seed application. Hydroseeding is the application of a slurry of seed and water to soil. The slurry may also contain mulch (hydromulching), a tackifier and fertilizer. Mulches are made of wood fiber, paper or excelsior, and their purpose is to hold seeds in place, help retain moisture and provide protection from erosion; mulches are usually dyed green as a visual aid in even distribution. Rates of application for most mulches are between 1500 and 2300 pounds per acre. In general, hydroseeding/hydromulching is most successful in moist climates or in irrigated areas. 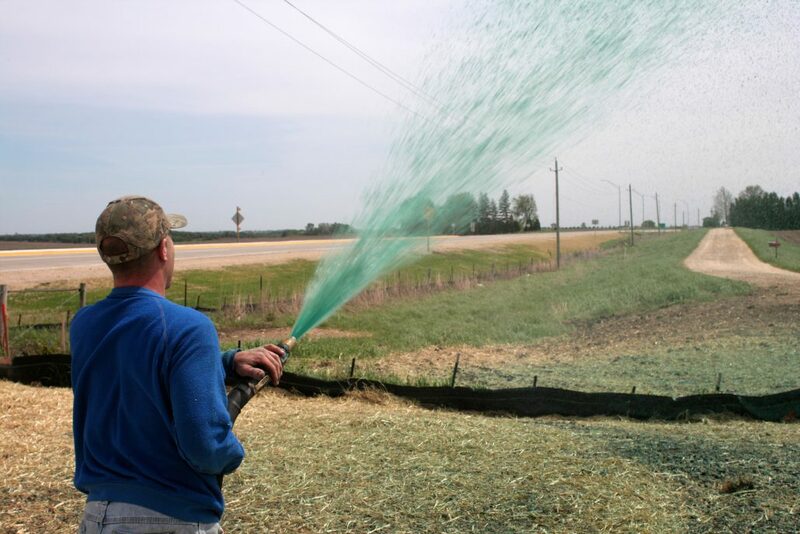 When hydroseeding, most authorities agree that germination is better when seed is applied first with 5-10% of the mulching fiber–the balance of the mulch being applied separately as a second step. This approach ensures optimal seed/soil contact; otherwise, many seeds are wasted because they become suspended in the fiber. In addition, it is important that proper procedures are followed to minimize the amount of time that seed is circulated through pumps or paddles prior to application. Over-circulation may damage the seed.